High Performance Pckaging has many KeelineConveyor Systems in stock. Keeline Conveyor Systems is a top notch conveyor manufacturer. If you need great quality wash down conveyors, Keeline Conveyor Systems is the machinery to go with. 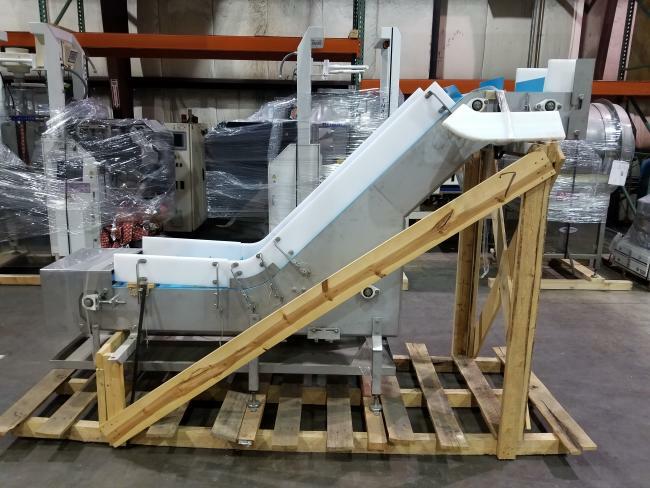 Never Used and still on the OEM pallet Keenline Conveyor Systems cleated incline conveyor, 108 in. long x 16 in. wide x 26 in. infeed x 68 in. discharge, 8 in. long x 3 in. tall cleats, SS frame, motor and drive, for sale.